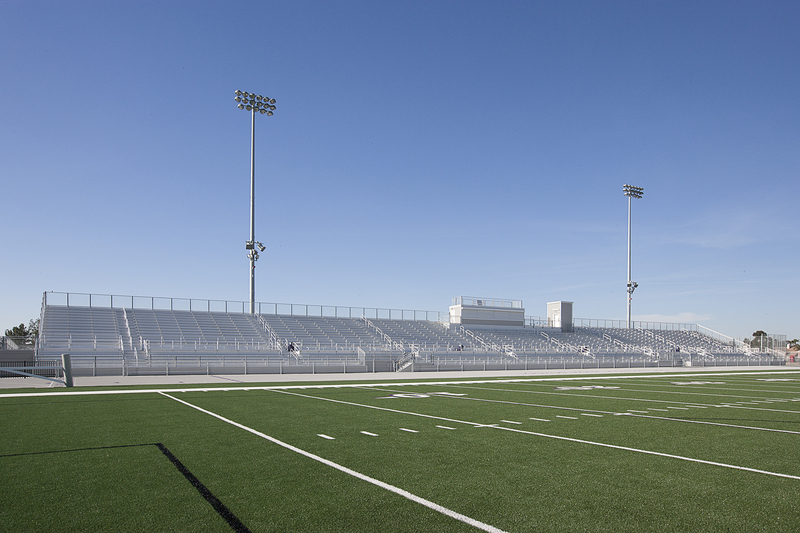 RHCS is enjoying a new 5,000 seat football stadium. 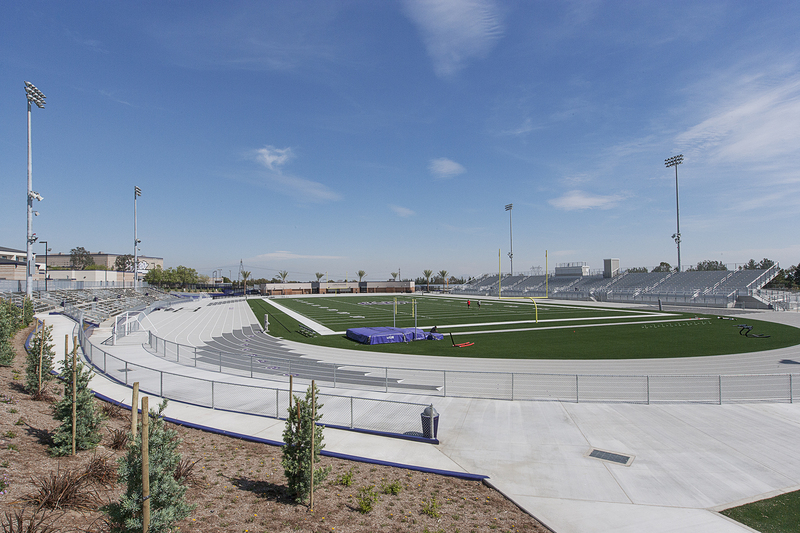 The stadium is located on the site of the previous track/field, with the existing concrete grandstand being converted into a 2,000 seat visitor side and a new, freestanding, 3,000 seat home side with press box being erected on the south side of the field. 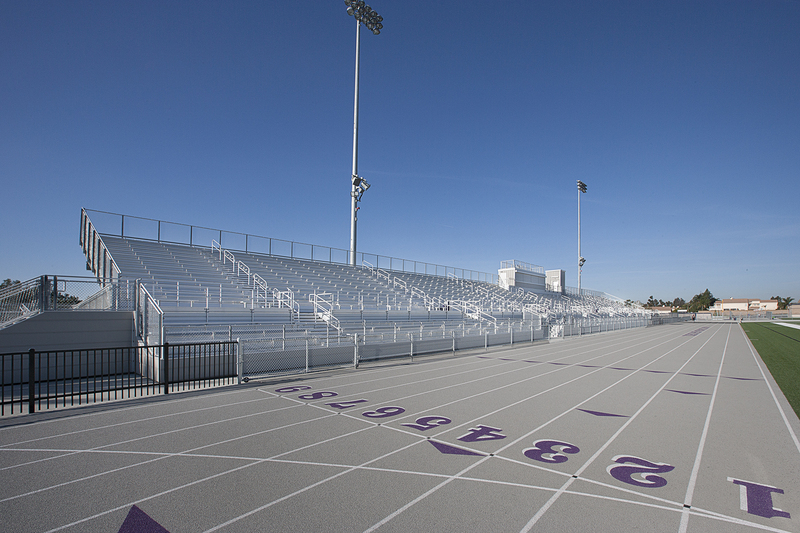 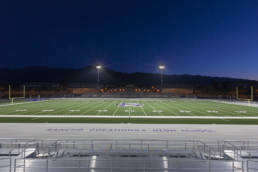 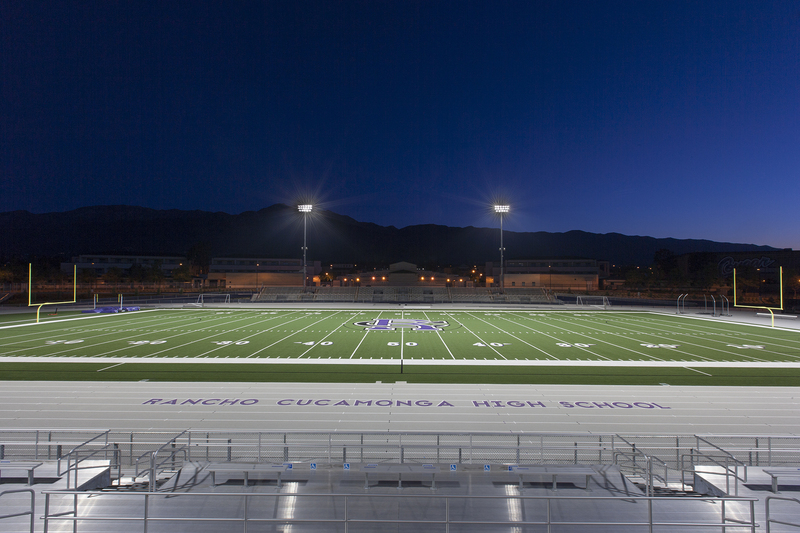 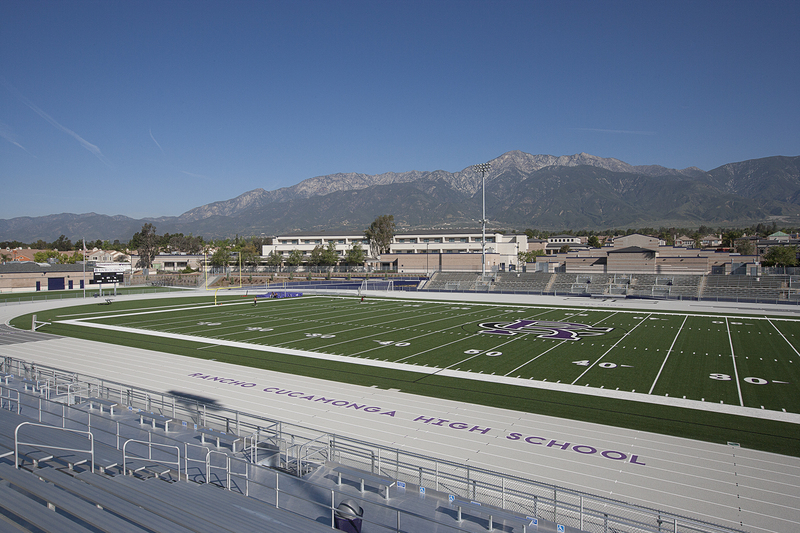 An artificial field, 9-lane synthetic track, athletic field lighting, scoreboard, and P.A. 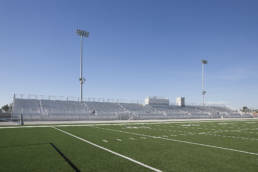 system are included. 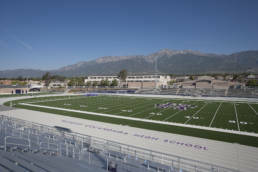 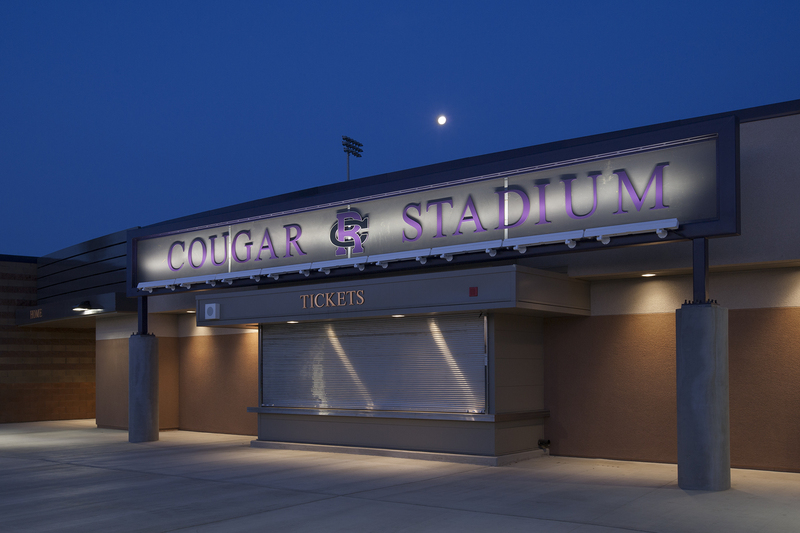 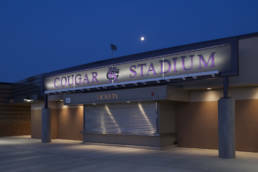 The stadium features a 7,000 square foot entry, restroom, ticket, concession, and health classroom which sits at the east of the stadium on the current basketball courts. 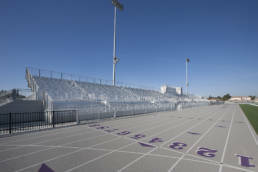 The old health classroom (at the west end) has been repurposed into storage and instructional space. The project also includes a complete re-working of the southern athletic field tier (baseball, softball, and practice fields) along with a new 220 stall parking lot at the corner of Rochester Avenue and Victoria Park Lane.